Amazon has updated one of their listings again! 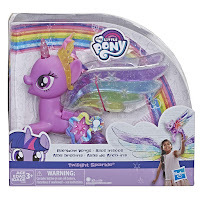 This time we get a good look at the Twilight Sparkle Magic Wings Figure. She has some really gorgeous Rainbow Wings. 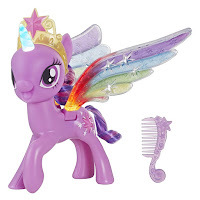 When you press her Cutie Mark her horn and wings will light up, they will also flutter. 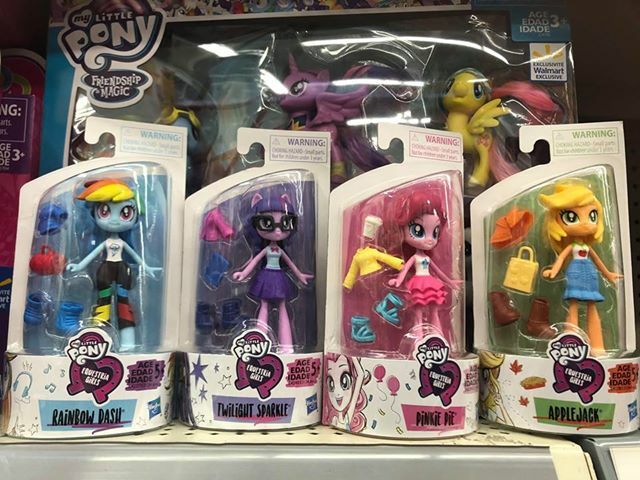 The body is the same as the Friendship Duet and Talking Ponies release minus the wings. So she's quite large, about the size of a Styling Size. 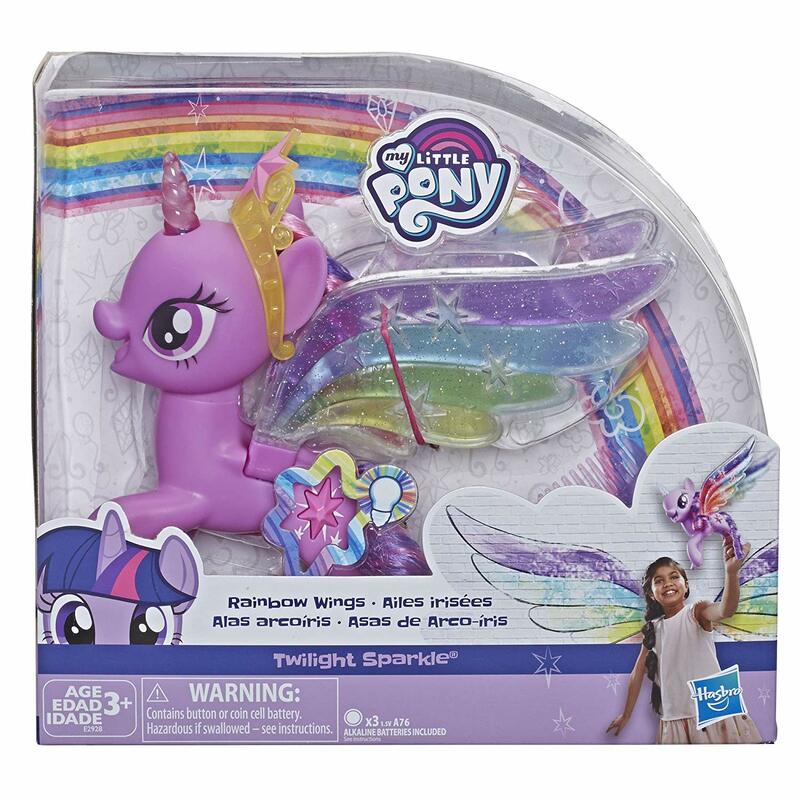 Entertainment Earth Lists Two New Items: Shimmering Friends Collection and Sea Ponies! First of all, I hope you all had a nice Thanksgiving and scored perhaps some good deals during Black Friday. Anyway Entertainment Earth has listed (and updated) two new items. Imagine exploring new kingdoms beyond Equestria with this My Little Pony Seapony Collection Pack, a set of 6 favorite mermaid pony characters from My Little Pony: The Movie: Twilight Sparkle, Rainbow Dash, Pinkie Pie, Rarity, Fluttershy, and Applejack. These My Little Pony toys are inspired by their characters on My Little Pony: The Movie and My Little Pony: Friendship is Magic animated television series. 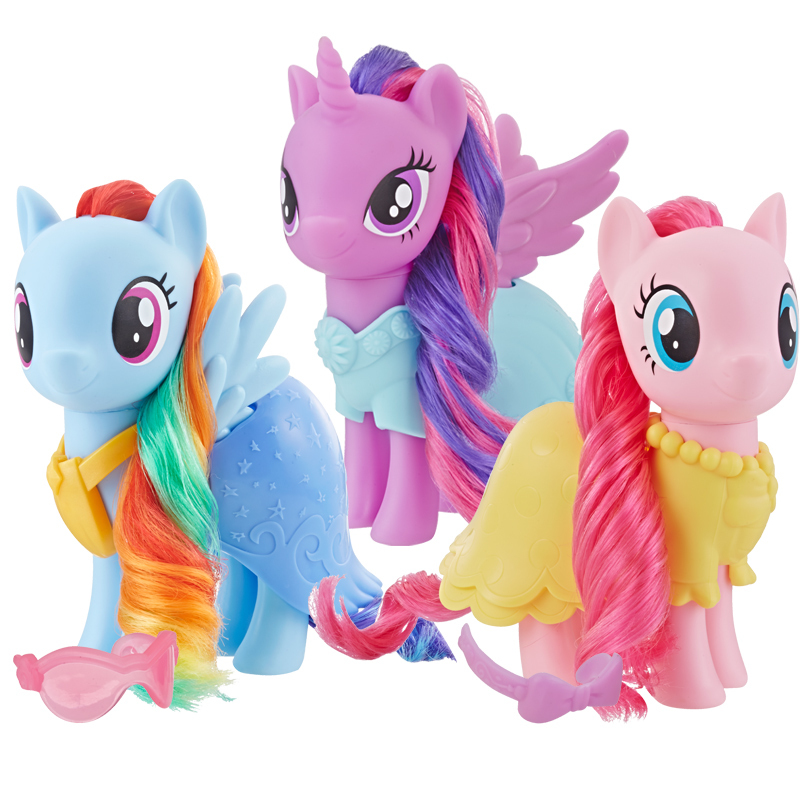 They have glittery eyes, beautiful long hair, and their signature cutie marks on their back fins. Each character has a moveable, mermaid-like tail and long, colorful hair so that kids can imagine these friends swimming undersea. 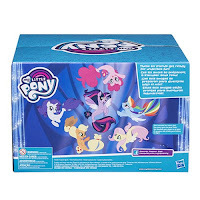 A great gift for kids ages 3 years old and up, this is the only set in the My Little Pony: The Movie line that has the Mane 6 together as seaponies! The second listing is for the Shimmering Friends Collection. 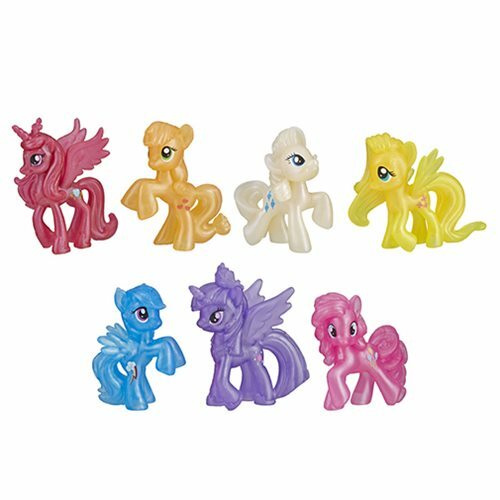 This "Classic Series" set contains seven Blind Bags of the Mane-Six and Princess Cadance. All have a pearlized coat. This set is available for $9.99 and will also be available this January. 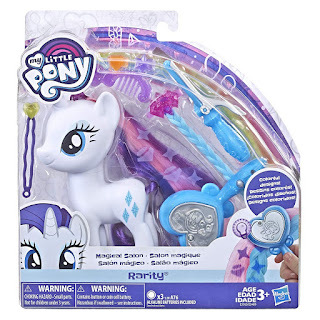 Imagine adventures in Ponyville, the Crystal Empire, and beyond with favorite characters from My Little Pony entertainment! 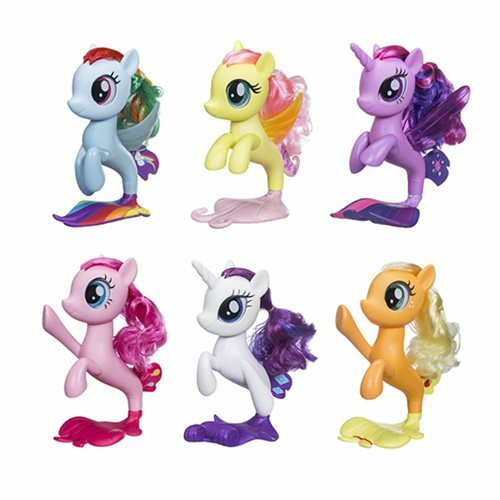 Shimmering Friends Collection features 7 beloved characters with a fun, translucent finish. 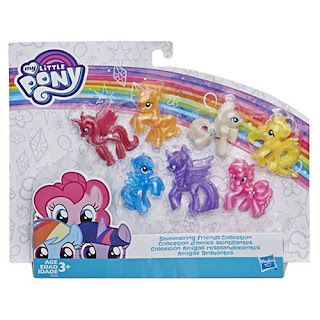 Includes purple Twilight Sparkle and pink Princess Cadance Alicorn figures wearing tiaras, blue Rainbow Dash and yellow Fluttershy Pegasus figures, white Rarity Unicorn figure, and pink Pinkie Pie and orange Apple Jack Earth Pony figures. These 1 3/-inch figures are great toys for young fans of My Little Pony Friendship is Magic. 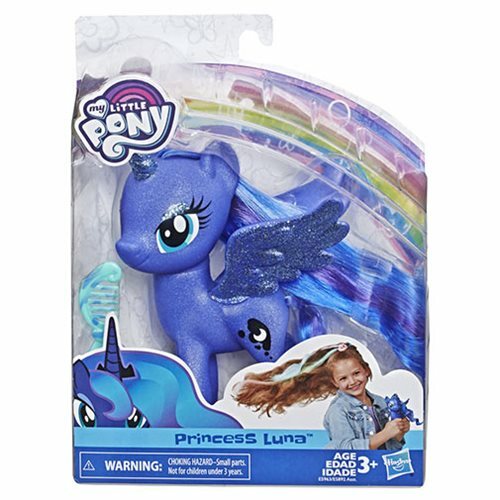 It was just 5 days ago that we posted on the Princess Fashions Styles, that are part of the new line of My Little Pony toys, and today the first available listings were already spotted on Amazon! 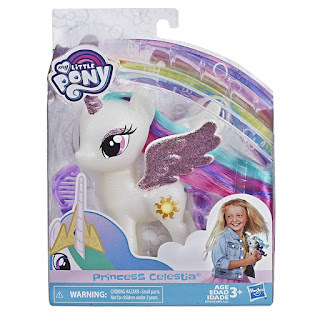 In case you didn't see it in the previous video yet: these princess are covered in glitter, but come protected in a new packaging style for the 2019 line of figures (which we still unofficially call Classic Series). Amazon has updated some of the listings we found months ago! 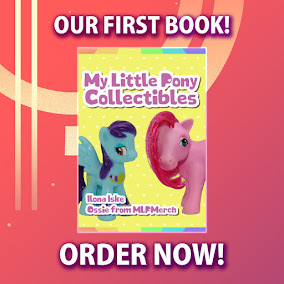 And this time they've updated the Magical Salon one with images of Pinkie Pie and Rarity. Both Pinkie Pie and Rarity are Fashion Style-Sized and come with a lot of hair accesories. 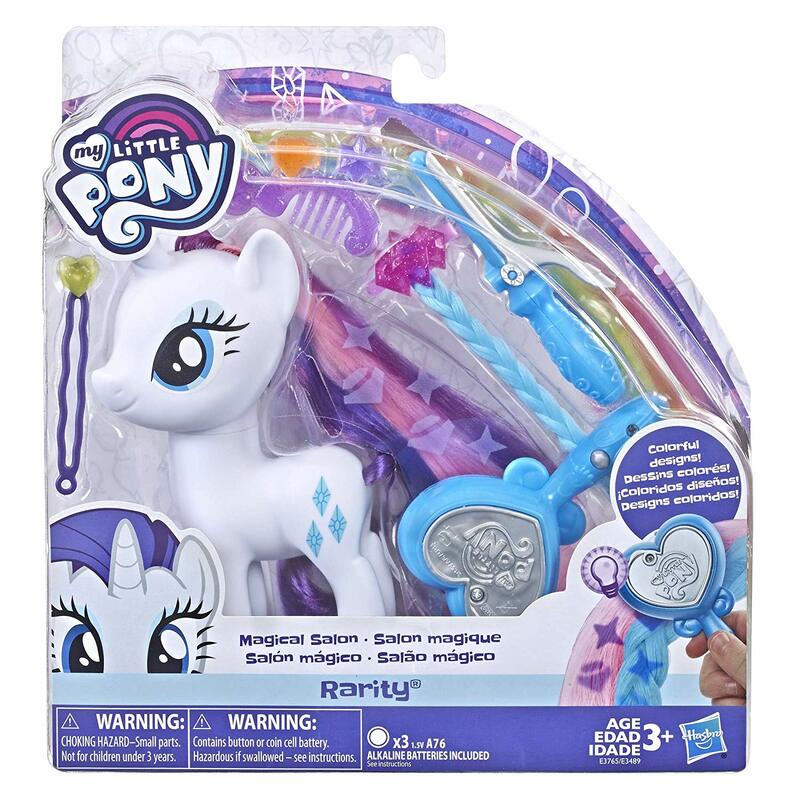 It also comes with a brush that leaves nice markings on their hair like jewels, stars etc. For the occasion both Ponies also have multicolored hair. 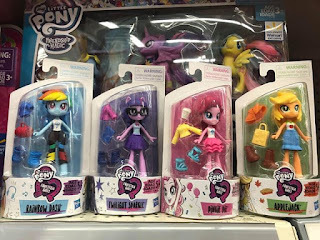 Quite an interesting listing has appeared on Entertainment Earth: These awesome single Fashion Style Princesses! The first wave includes Princess Celestia and Princess Luna (who dark blue again!) Their bodies have a nice shimmer to them and part of the body is also covered in real glitter. They only come with one accessory which is a nice multi-colored comb. This is the first wave meaning that Princess Cadance and Twilight Sparkle are most likely in the second wave. 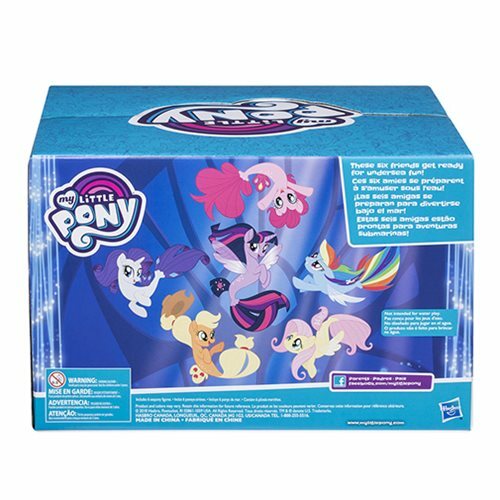 Judging by the different packaging is safe to say that they are from the same series as the Mane-six singles from earlier.